Currently viewing the tag: "Grey Dawn"
With the tides come a darkness and oppressive gloom and that gloom is known as October Tide. After resting in deep, dark slumber for the fullness of eleven years, the brainchild of Fredrik Norrman (ex-Katatonia) and Jonas Renkse (Katatonia) crawls back into the light with another monumentally morose death-doom opus titled A Thin Shell. Not too many bands can survive such an extended state of limbo but when Norrman left Katatonia, he decided it was time to resurrect his side-project for a third album without co-founder Renkse. While it was quite natural to doubt a quality comeback or to fear a Katatonia clone, you can put those fears to rest. 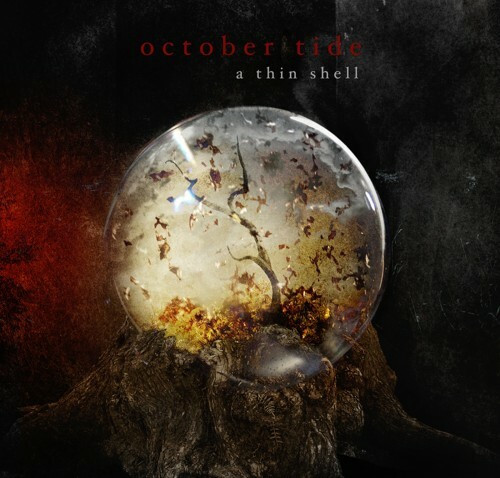 A Thin Shell is a remarkable album that showcases the beauty that exists in darkness.